Founder, Director of Training, Trainer Hometown: Galway, Ireland. Sky Maria Buitenhuis has extensive experience supporting people to deepen their connection to nature, including our own inner nature as part of the larger natural landscape. She has worked as a facilitator for a variety of different programs as well as developing her own workshops and trainings. 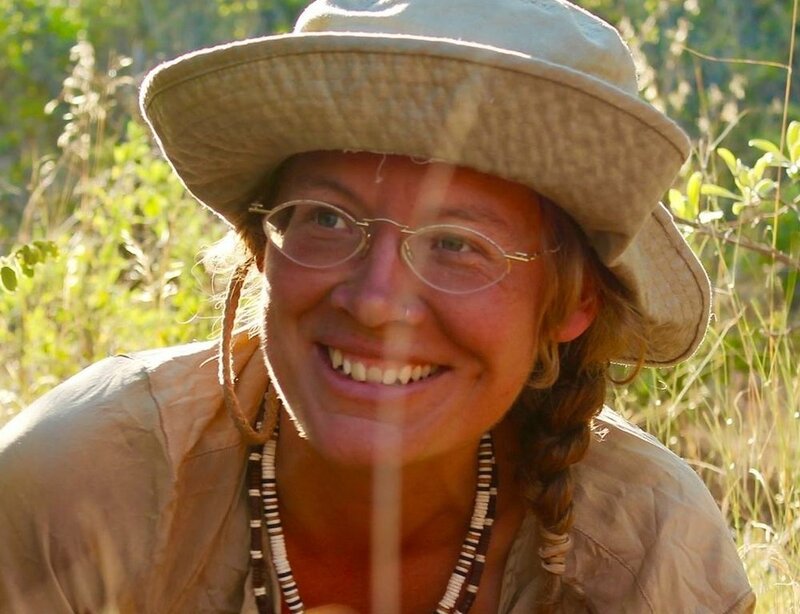 She is the co-founder of the Association of Nature and Forest Therapy, as well as working for three years as director of training and certification of ANFT's forest therapy guide training program where she trained and mentored more than 100 people to follow their passions of becoming forest therapy guides. As a nature connection guide, Sky draws on her trainings as a Work-That-Re-Connects (as founded by Joanna Macy) and an 8-Shields (a pan-cultural model for deep nature connection and cultural repair) facilitator, as well as many other influences and her own on-going personal journey of remembering her natural state of being. Founder, Executive Director, Trainer Hometown: Virginia, Ontario, Canada. Ben grew up in rural Ontario on a quarter horse farm. Pigeons, sports, and exploring the meandering creek were his childhood passions. Spending most of his career as a wildlife researcher, he earned a Masters degree for his work studying the ecology and conservation of the endangered Blue Racer. Ben lived for 12 years off the grid, leading The Wilds of Pelee Island as Executive Director. Later, Ben co-lead Traditional Medicinal Native Plant inventories and plant meditations with First Nations. After having taken several courses such as Reiki, Access Consciousness, Yoga teacher training, Ben became Canada's first certified Forest Therapy Guide. Ben lead over a hundred walks in his first few years as a guide and trainer. Along the journey Ben met many Forest Therapy Guides and Trainers, and was inspired to co-create an ethical, non-profit organization for training Forest Therapy Guides. Ben gives special acknowledgement to his courageous and kind co-founder, Sky. Other key co-visionaries of GIFT, include Romola, Rob Klea, Fran Mills, Harobed Emoned, and Karen Laine. Ben has a popular blog, www.lostandfoundinnature.com and will soon be publishing, www.rightactionman.com, a book about men in relationship with all spheres of their lives. Ben lives in the Forest City (London), Ontario with his wife and three children. Romola holds a doctorate in clinical and organizational psychology and has practiced in the field since 1993 working as a clinician, consultant, and adjunct professor. Romola has worked clinically in the areas of anxiety and depression, trauma, eating disorders, addiction, sexuality, family and marriage/partnership, custody, mediation and cultural repair. She has had the privilege of time spent specifically working with First Nations both in Ontario and Saskatchewan. Her consulting practice works with transitions, strategy, and creation/transition of culture and values within organizations. She works with provincial, federal, private and non-profit organizations. The foundation of her practice lies in the humanistic and feminist traditions believing in the power of the mind/body/spirit integrative approach to solutions and healing. In this way, Forest Therapy such a beautiful practice to integrate a process based on clinical humanistic foundations to help the guide provide a bridge with their participants to experience growth and healing within the forest. She is excited to create and facilitate this meaningful curriculum with GIFT. Jessica is an ecologist and educator who has been working in conservation for over 10 years. She grew up in Toronto and spent her childhood exploring the city’s numerous parks and ravines. She is also fortunate to have a family cottage where she deepened her connection to nature and developed her desire to share this passion with others. Her Bachelor and Master’s of Science give her a strong scientific foundation, while her Bachelor of Education give her the communication skills to share her knowledge with others. Jessica met Ben through a connection from her Master’s research: Jessica studied Fowler’s Toad and Ben the Blue Racer Snake, both endangered species in Canada. She now seeks to deepen her connection to nature even further through the world of Forest Therapy and work towards sustainability in a more holistic context, which includes supporting healthy lifestyles, communities and organizations. She is honoured and excited to join Ben, Sky and Romola and support GIFT through fundraising, networking, educational resource creation and her overall positive energy. Jessica will be starting her first forest therapy guide training in June 2018. Community Outreach Hometown: Hamilton, Ontario, traditional territory of the Haudensaunee and Anishnaabeg, included in the Upper Canada Treaties and protected by the 'Dish with One Spoon' wampum agreement. Growing up near the brow of the Niagara Escarpment, Kristina has been enjoying spending time in nature since she was a young girl going on family walks, bike rides, and camping trips. She set out to learn more about how to care for the natural environment through the Environmental Studies program at the University of Waterloo, and has worked as an ecologist for 10 years. During this time, Kristina built her understanding of the interconnectedness of ecosystems, became a skilled botanist, and came to deeply love the frogs, toads, and salamanders that call Ontario wetlands home. She has worked closely with the endangered Jefferson Salamander, one of Ontario's most sensitive and fragile species. Kristina trained to be a forest therapy guide with Sky and the Association of Nature and Forest Therapy (ANFT) in June 2017, which introduced her to a new depth of nature connection. Also a certified yoga instructor, Kristina is drawn to helping people find deeper connections to themselves and their place in the natural world. Since her training, she has been guiding forest therapy sessions through Rooted Heart in her new home of Peterborough, Ontario, traditionally called Nogojiwanong, territory of the Mississauga Anishnaabeg people. Kristina is always looking for ways to bring people together and build a stronger sense of community. She believes that by deepening our individual connections to nature, we are inherently building resiliency and ability to contribute towards a more harmonious future for all of Earth's beings. Translation, Sustainability, General Support. Hometown: Osaka, Japan. Yuka was born and raised in Osaka, Japan, where she gained rich experiences of Shinrin-Yoku. Through the Japanese culture and her own interactions with forests, she naturally gained respect for the environment. During her bachelor’s degree in Natural Science, she had a life-changing experience in Brisbane, Australia where she gained knowledge on advanced environmental education and sustainable development practices. It was this opportunity that inspired her to pursue a path in sustainability and natural system conservation. Yuka is currently in final year of study at Brock University, working towards her master’s degree in Sustainability, with a concentration in the resilience of natural and social systems. She seeks to explore methods in which humans can improve their co-existence with ecosystems, in ways that are both feasible and sustainable. In Japan, before moving to Canada, she taught science at high schools, this is where she reinforced her passion for teaching. Yuka’s aim has always been at the global level and she takes pride in supporting GIFT. She looks forward to connecting Japanese and Canadian forest therapy practices even more and she seeks to deepen her understating about the complex interrelation between humanity and the natural domain.